Weekends here, lazy mode - on, what to eat? I'm sure all of you had those moments when you've asked yourself this and all you want to do is just relax, stay at home and do absolutely nothing. Sleep In - You Deserve It! It's the weekend, do whatever you want. Don't feel obligated to give yourself extra rest. With all the beauty sleep, you might as well slap on a mask and whileveg-gieyou're waiting - do your nails! Best timing. With a little inspiration - find something creative and keep your juices flowing. This way, you'll feel a weekend accomplishment while adding a new piece to your home. 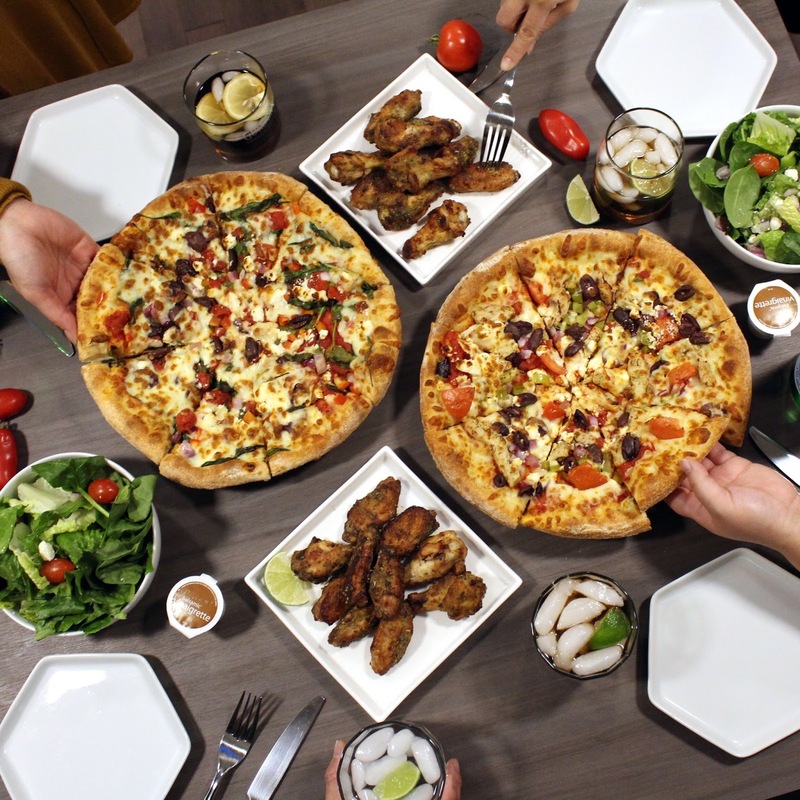 Pizza Party with your Friends. Time to eat! Don't want to cook? Easy! - Call your friends over and have a pizza party. Do you have friends that have allergy restrictions but still crave the good old cheesy goodness? Easy! 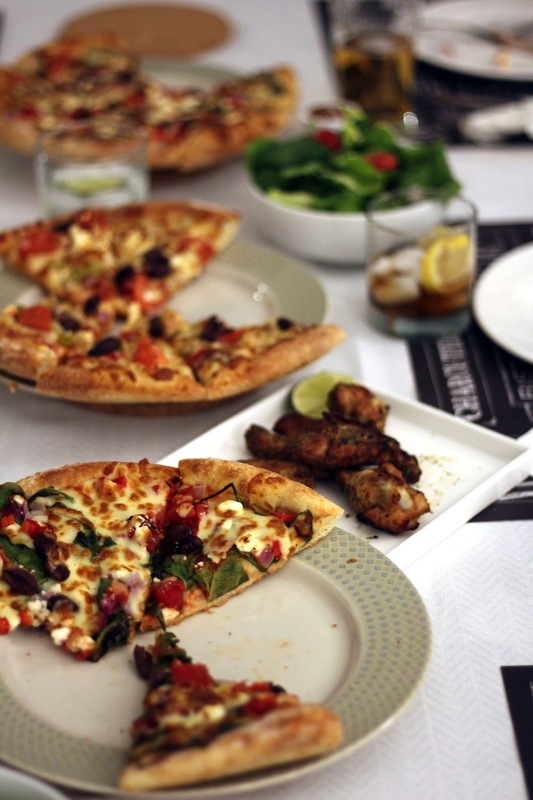 Panago Pizza* now has their Chicken Souvlaki + Veggie Mediterranean Pizza to bring back the summer vibe. 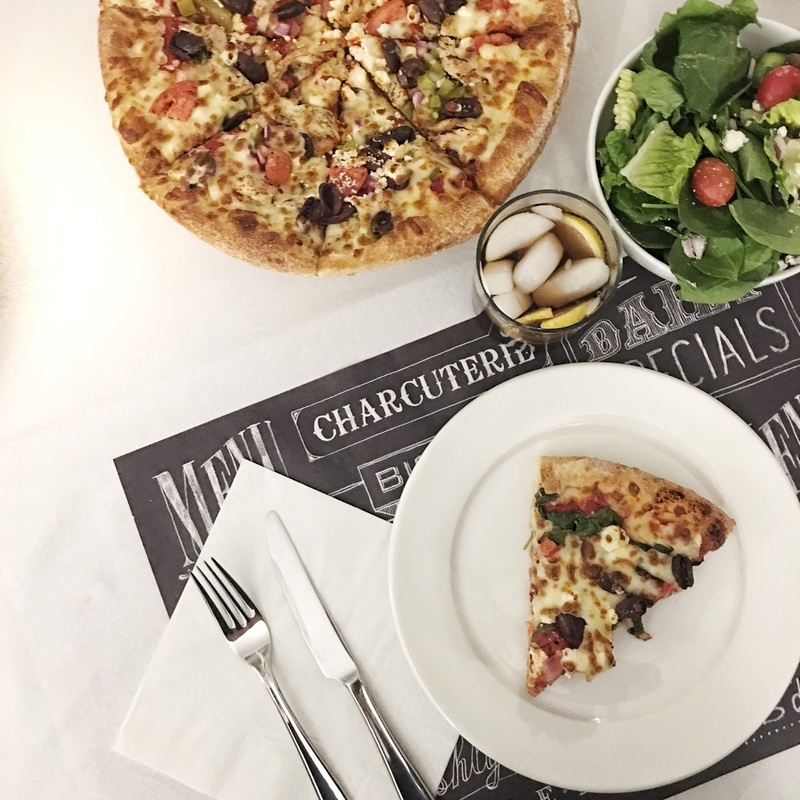 With fresh ingredients, no MSG added, no artificial colours and flavours, and so much veggie gluten free options; it's the best pizza to accommodate everyone. Finally, end your night with some Netflix and a hot cocoa. Best weekends end off with some friends, chatting over the silly things that happened over the week and re-watching your favourite series. Time to click restart! BTW my favourite series - "How I Met Your Mother."